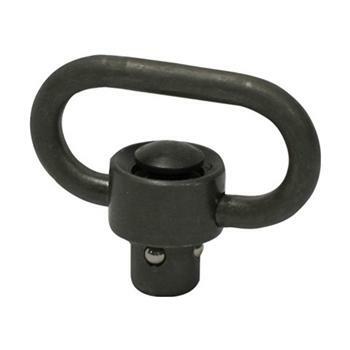 Constructed to extremely tight tolerances, heavy duty body, loop and stainless steel bases, this package of TEN Heavy Duty QD push-button swivels provides rock-solid performance under the most demanding conditions. Manganese Phosphate finish is deep black and very sturdy. These are extremely high quality QD swivels and there are none better anywhere.